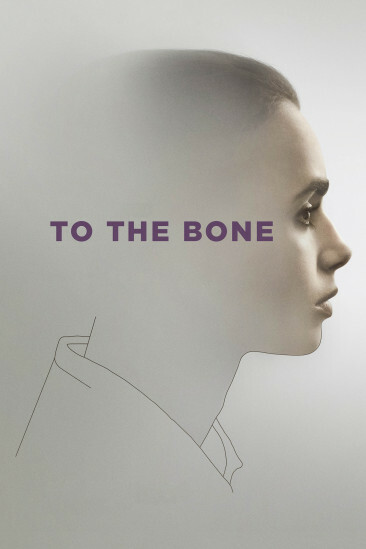 Anorexia is a serious disease that effects many people everyday, especially teenagers.To The Bone follows Ellen (Lily Collins), a young girl who has struggled with anorexia for quite some time. She's tried multiple things to try and get past it but can't seem to find a way to fix her disease. Her step mother Susan (Carrie Preston) sets up a session with Dr. William Beckham (Keanu Reeves) because the word of mouth is that he's the best person to put her on the right track. Dr. Beckham has her stay at a home with several others who are struggling with the same disease. As Ellen continues to struggle with her disease Dr. Beckham challenges her and tries to get her to embrace life rather than continue to struggle. To The Bone is the latest Netflix original film and it is safe to say that they have hit a nice stride when it comes to their originals. While the subject matter does make things a bit depressing at times there is a lot to like here. Seeing these people struggle with a disease is gut wrenching at times. The film shows more than just people vomiting to be skinny, which I'm sure is what a lot of people assume is the only thing experienced by anorexia. On the contrary, we get an in depth look at the horrors of the disease. From the bruises on bodies because of how weak these people get to seeing a girl have to eat through a tube because she can't bring herself to eat anymore. The whole film doesn't just beat you over the head constantly with how unhealthy these characters are. Thankfully there's a subplot involving a relationship between Ellen and the only boy at the home, Luke (Alex Sharp), that rises above typical cliches and puts more heart into the film. It's also great to see some well fleshed out characters so you really find yourself drawn in to the drama. Everyone in the cast here does a great job in their roles but there are some definite standouts. This is certainly Lily Collins show and she gives what I would say is the best performance sh'e ever given. Having struggled with anorexia in real life she brings a certain depth to her character that really makes her shine. Keanu Reeves turns in one of his better performances outside of being an action star and it really makes me want to see him in more dramas. Alex Sharp makes sure to steal almost every scene he is in and shows that he could have a bright future ahead of him in acting. While the film has many strengths there were a few things I had problems with. A lot of the scenes outside of the home felt a little forced at times. The scenes with Ellen's step mother and step sister were fine for the most part but felt like they were missing something to help them flow better with the rest of the film. Ultimately the biggest fault here is the subplot dealing with Ellen's real mother Judy (Lili Taylor). She makes an appearance early in the film which helps show the relationship between her and Ellen. However, when she comes back into the story later on it all just feels forced and not needed at that point. In the end, To The Bone showcases a real world problem and handles the touchy subject quite well. The story is interesting, the characters are fleshed out and Lily Collins gives a breakout performance that should put her on everyone's radar.